Various packages and pricing options are available to meet the needs of districts in the most cost-effective way available. Vendors and pricing vary based on the needs of the student and the corresponding options selected. Each selection is a defined, yet customizable, service available to schools—based on need and affordability. When enrolling a student, districts choose the package —student by student, or school by school. 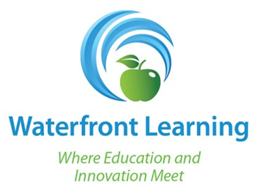 All Waterfront Learning options include implementation services, student technical support, liaison quarterly meetings, and student achievement consultation. NOTE: Packaging options vary by county and vendor.